Glencoe Health is a comprehensive, secondary health education program that can be delivered online as well as in a traditional print format. The flexible format allows you to engage high school students in an exploration of health and wellness, wherever you are on the digital path! Content is correlated to National Health Education Standards and focuses on building health skills that show students how to create their own paths. Real-world application of health skills provides students with the understanding they need to create an individualized plan for a healthy life. 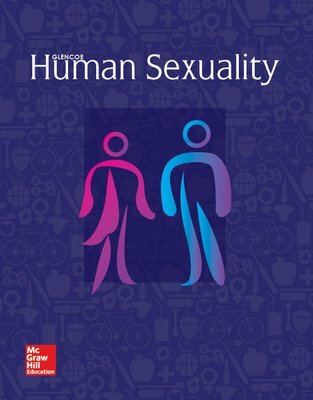 The optional Glencoe Human Sexuality module (through the digital and/or print programs) explores issues dealing with self-esteem and healthy decision-making. Some topics include understanding emotions, communications skills, understanding sexuality, dealing with peer pressure, developing refusal skills, and recognizing how and where to get help. Media-rich assets ensure understanding of health concepts, such as avoiding risk behaviors and other health skills, in a student-friendly way. Popular Glencoe Health tools, such as the Health eSpotlight videos and Interactive Whiteboard activities, are integrated into the online program. Apps and links to credible health resources, such as those from the Centers for Disease Control and Prevention, are also integrated. 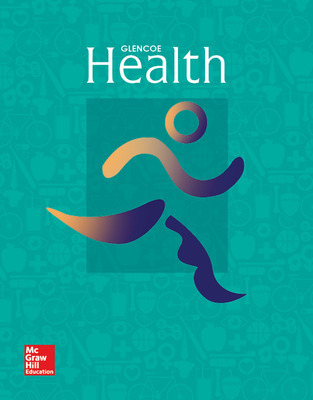 Exclusive to the McGraw-Hill Glencoe Health program are online journals where students take notes, capture key concepts, or create personal health plans. Online journals can be shared with the course instructor, and students can download a copy at the end of the course. The McGraw-Hill Glencoe Health Teacher Center in ConnectED contains the assets available through the print program in an online format. Student Activity Workbook and Fast Files worksheets can be completed online and sent to the teacher through ConnectED. Activities include: Note Taking, Reading Strategies, Reteaching Activities, Enrichment Activities, Health Skills Practice, Vocabulary Practice, Health Labs, Community Involvement Activities, Career Research Activities, Lesson Quizzes, Chapter Tests, Unit Tests, and more! Answer keys are also provided online. Fitness Zone: Heart Rate Activities offers a complete fitness-based technology system that allows teachers to assess and customize individual fitness improvement programs.